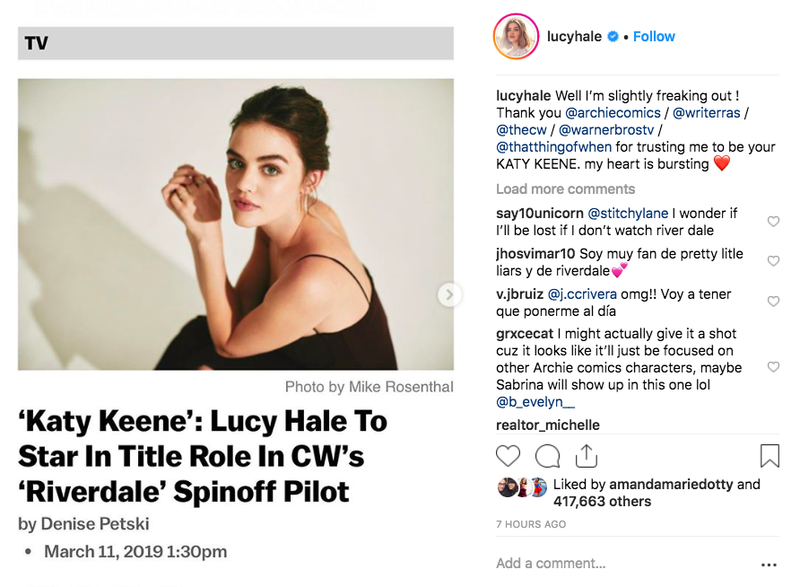 Lucy Hale Cast In Riverdale Spinoff as Katy Keene. 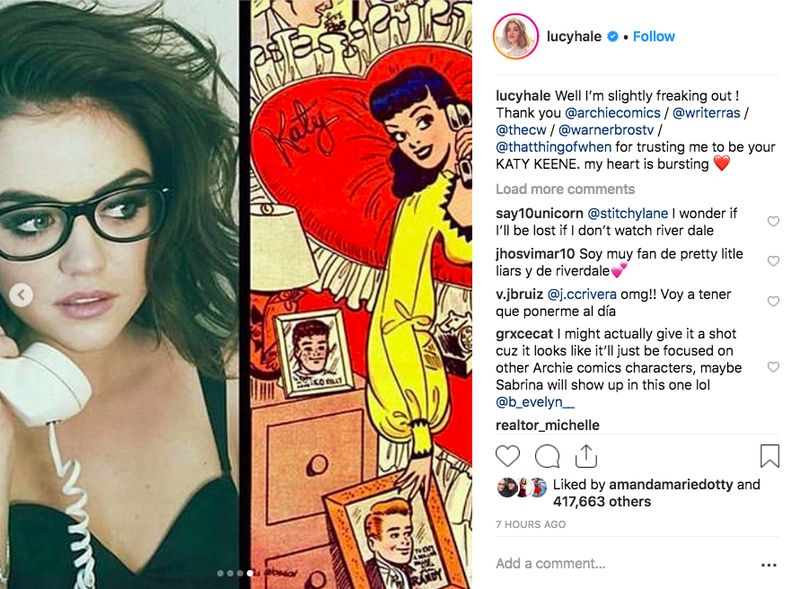 After much anticipation, Riverdale spinoff and Archie Comics stylish lady Katy Keene has finally been cast! Welcome, Lucy Hale. I used to love watching Lucy Hale when she played Aria Montgomery on Freeform's Pretty Little Liars. I believe this is a great casting decision. Hale has the look, charisma, and style needed to play Katy Keene. I can't wait to watch this Archie Comics style heroine come to life. 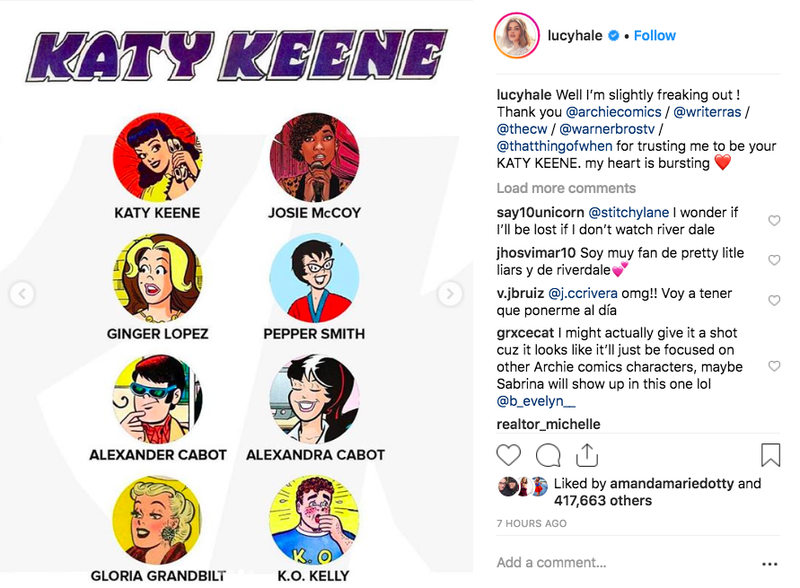 The shows current synopsis reads, "Katy Keene follows the lives and loves of four iconic Archie Comics characters — including fashion legend-to-be Katy Keene — as they chase their twenty-something dreams in New York City. This musical dramedy chronicles the origins and struggles of four aspiring artists trying to make it on Broadway, on the runway, and in the recording studio." 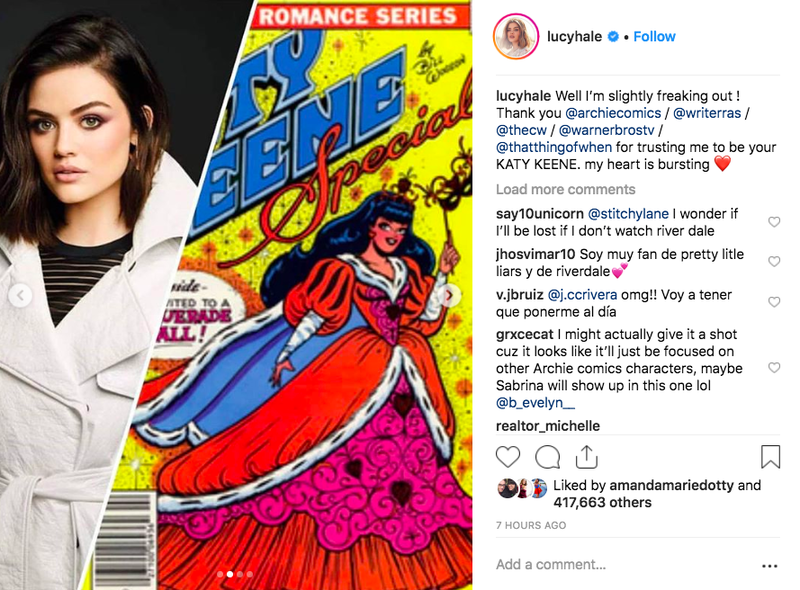 Lucy Hale seemed to be very excited to share this news on her Instagram. So what do you think? 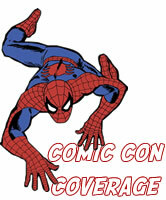 Are you guys excited?